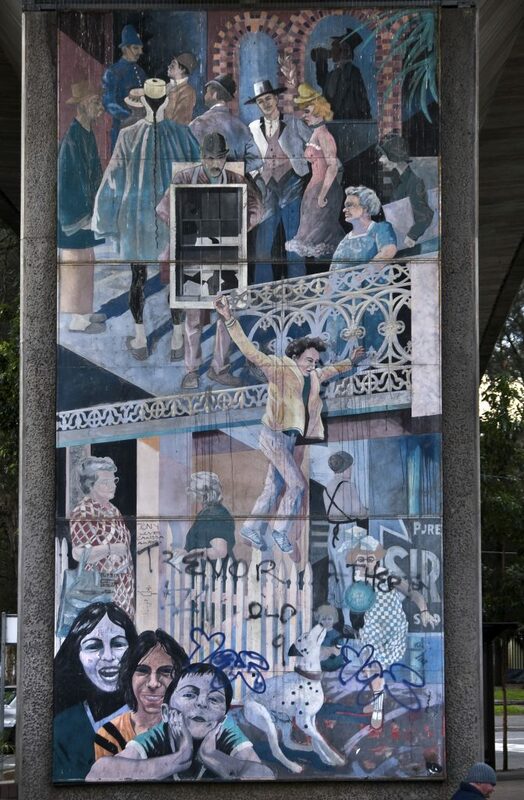 A Balcony View is one of eight murals painted on the railway pylons at Woolloomooloo, celebrating the history and people of this suburb. 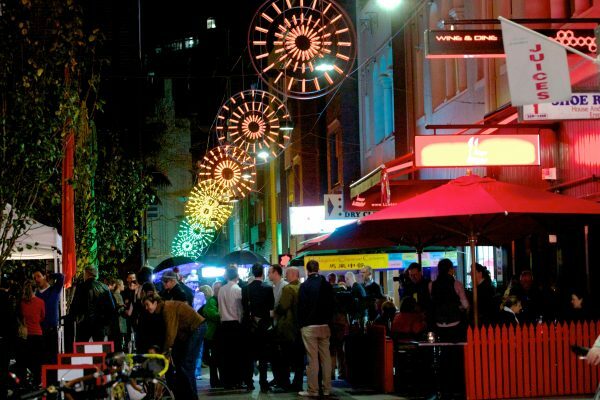 It shows the area’s vibrant street life, and some of the unforgettable characters who have lived and worked in this community. A Balcony View reveals a time when community life was lived out on the street. The mural shows two vivid scenes. The top half of the panel is a portrait of Woolloomooloo life in the late 19th century, based on cartoons published in the Sydney Bulletin. Look out for the larrikin and his moll – members of the Plunket Street Push, a street vicious gang that terrorised the area until World War I. 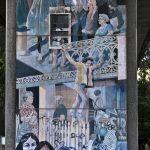 The bottom half shows images of residents at the time the mural was painted. At the centre of this artwork is one of the balconied terrace houses that residents fought so hard to save. Many of those distinctive terraces were restored by the Housing Commission once the private developers had been defeated. It’s only thanks to the determination of resident groups that they survive today – and that families can still afford to live in the suburb that’s always been their home. 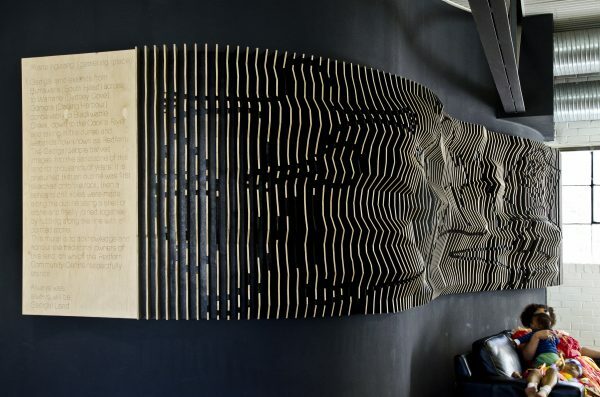 Through this artwork, the community’s efforts will always be remembered. 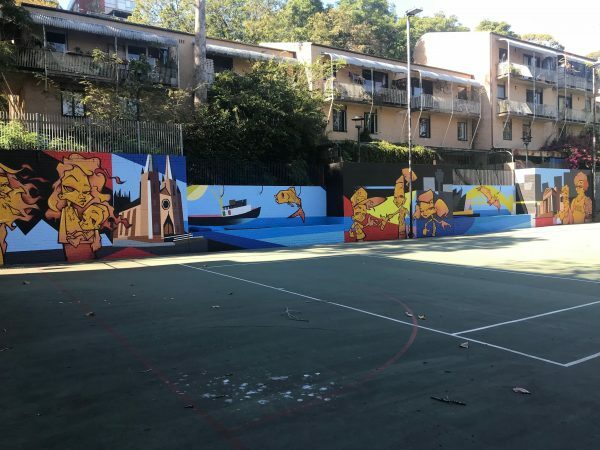 The Woolloomooloo murals were designed and painted by local artists Michiel Dolk and Merilyn Fairskye. Wanting to preserve and celebrate the suburb’s unique history, the artists approached the Woolloomooloo Resident Action Group with the idea in 1979. 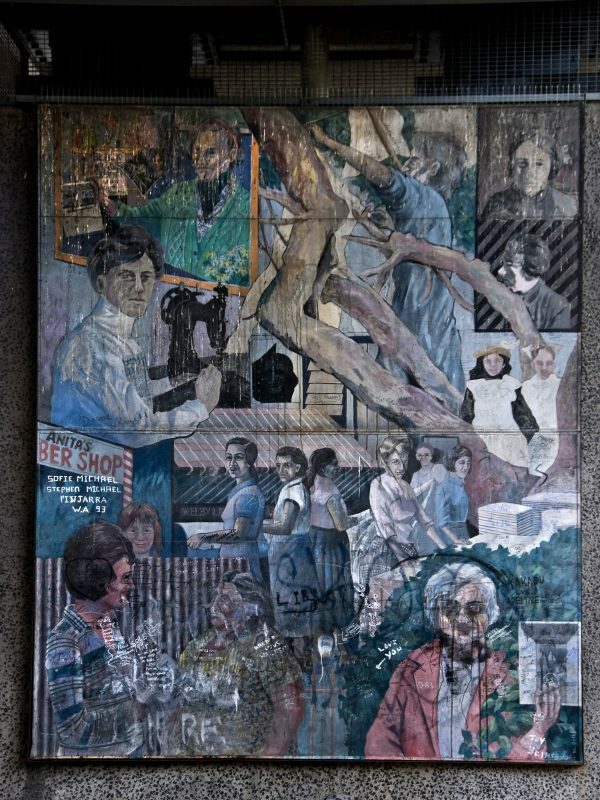 Before putting paint to panel, Fairskye and Dolk spent a full year piecing together the real story of Woolloomooloo from archives – and the memories and photos of the families who lived it.